The Ascot Project was conceived in 2001. Its purpose was to consider how the various agencies could work together to effectively support older people in the Ascot area. This joint project between Social Services and the NHS came to an end and was taken over by a group of local residents who saw not only a need but an opportunity to make a difference for older people in our community. Our aims have broadened and as well as working to improve the quality of life of older people we also set out to provide the information that those who are retired or are about to retire need to lead a fulfilled and active life. To help meet these needs and develop the theme of improving the quality of life of retired people we provide a number of local services. 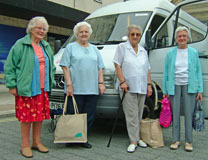 ØWe organise an annual Retirement Fair at Ascot Racecourse. 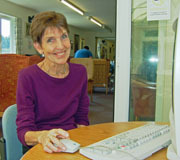 ØWe arrange for pupils from local schools to teach members of the Ascot Day Centre to use computers. 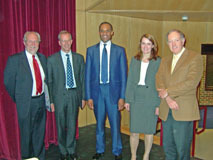 ØWe have also orgainsed "Any Questions” events on Healthcare with influential speakers from the NHS and Social Services. We are an active team who work to make a difference in our community. The key to our success has been a focus on priorities, being realistic about what is possible and breaking down tasks so that they are manageable and rewarding. We have given thought to the future direction of The Ascot Project and have some exciting ideas that we believe will be of great benefit to retired people in our community. But, we need a few more volunteers to help us turn these ideas into reality.